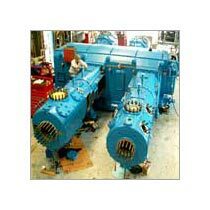 We are well-known Exporter and Supplier of Gas Compressor Compressor Cylinder in Mumbai, Maharashtra. Our cylinder is available in different sizes, dimensions and other specifications to meet the diverse demands of buyers. We provide compressor cylinder for different brands of Gas Compressor. Our cylinder is highly durable in nature due to its strong and sturdy construction. We believe in delivering Compressor Cylinder within the promised time frame.